HOT APP OF THE WEEK! 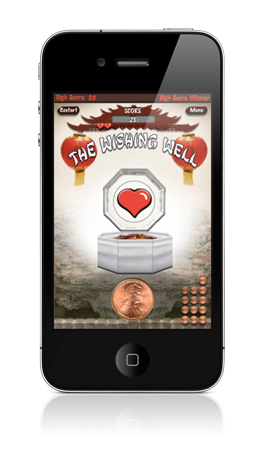 The award winning film "The Wishing Well" is now available for the iPad™! "The Wishing Well Popup Movie and Game" named MSN's The Surf Report's "HOT APP OF THE WEEK"! 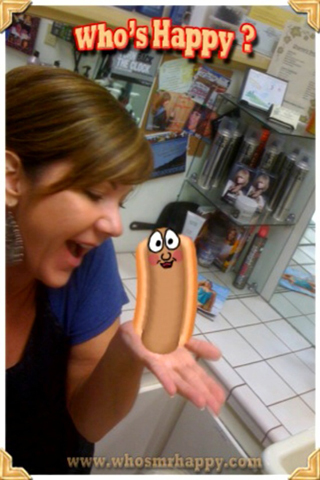 The Original Dancing Sausage App! Insert Happy into PICTURES of you and your friends and watch Happy spring into action! Open any picture you have on your device or take a new one with your built-in camera (if available), then place Happy in your photos, hit the new "Happy Dance" button, then sit back and enjoy a few giggles as Happy wiggles his way into your funny bone! Add text and make your own E-Cards! 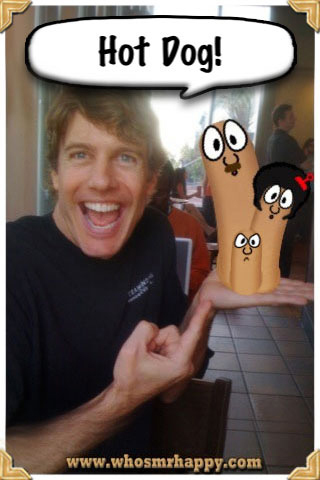 Add cartoon-bubble captions to your shots and make custom e-cards to e-mail your friends! Choose different shapes, sizes and flavors of sausages from around the world! Select a bratty Bratwurst, or a free spirited Vegan, or try something different, like Head Cheese! What kind of sausage are you? Turkey? Mini-Vienna? African? Pick your own personal Happy Sausage while learning about sausages from around the globe! Apple, the Apple logo, iPod, iPad and iTunes are trademarks of Apple Inc. registered in the U.S. and other countries iPad is a trademark of Apple Inc. All images of Happy The Melancholy Sausage, and The Wishing Well are copyrights of Rod Maxwell and Screaming Images. All rights reserved. "Happy The Melancholy Sausage, bringing a little happy to the world, one sausage at a time!"